I was born into it. And although my dad didn't want me to become a trainer - he wanted me to get a trade - it was what I knew, what was always there for me and what I loved. People often talk about my time with footy but the reality is I got my training licence young, very young, at twenty I was one of the youngest trainers around and it was where my future was. I was so lucky to be training with my dad as well when I started. I had four horses first and although Dad and I were separate trainers we worked together. Are you still happy you made that choice? You don't enter racing to retire like Bill Gates, the prize money is not what its about, its a tough game, the hours are exhausting and the pay day is a long time coming. What's the best thing about racing? The horses and the people. Seriously if you're a hermit don't get involved in racing - we're all in racing together. Good times, bad times and everything in between. It's a rollercoaster ride and you need each other. What's the worst thing about racing? And it is horrible to then have to deliver bad news to owners. I have to say, most owners are in racing for the same reason I am and they adore their horses, but it is never easy to have the chat about bad news. 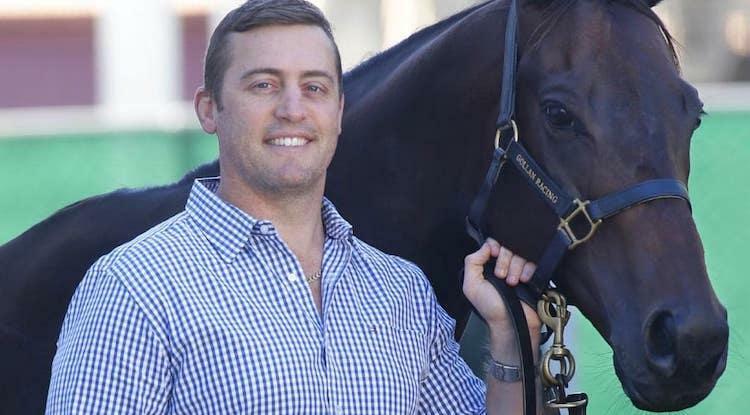 Tell us something we might not know about Tony Gollan? When I was 15 I made the Queensland Academy for Softball. Suffice to say I am a better horse trainer than softballer!